Provides optimal support and comfort. Water resistant & tear resistant cover. Non-skid bottom. Ideal for larger size or multiple medium dogs - 112 x 86 x 25 cm. Can easily hold 75+ kg. Large 101 x 64 x 15cm (Grey with black piping) waterproof protective inner & durable hypoallergenic Oxford fabric. A waterproof removable and washable inner protects The Dog's Bed from accidents. Provides your dog with a sleeping experience with uniform and contour-balanced support. Excellent medical grade orthopedic support for older dogs providing therapeutic comfort for arthritis pain, muscle stiffness, hip dysplasia, arthritis and aching joints. Memory foam offcut measuring 36 x 24 x 3 inches (90 x 60 x 7 cm). Ideal for dog beds, cushion, pillows etc. Can be cut down to any size smaller than the specified sizes. Approx Dimensions; 95 x 65 (cm). Material:Top made of Polycotton Botton cloth made of non woven fiber with anit slip grip. Memory foam, Additional, thick foam mat for added comfort and to prevent flattening. Comfortable height for your dogs to lie down, Reduces stress on joints and spine. Removable covers, washable up to 30°C Plush cover removable and washable up to 30°C. They say dogs start to imitate their owners, and that is very true of me and my dog. I feel hours spent in bed is not time wasted, but time spent in a luxury bubble of snugness. Luckily for me, my dog feels the same so on the rare occasion I can spend half a day in bed, I have the perfect snuggle buddy. My dog loves my memory foam bed, so I decided to invest in a memory foam dog bed that is just for her. 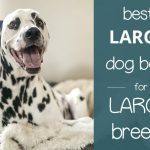 2 Why choose a memory foam dog bed? 3.1 Is it thick enough? 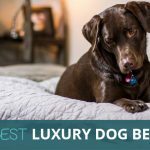 Here is a roundup of the best memory foam dog beds you can buy to spoil your dog the way they deserve. This luxury memory foam dog’s bed comes with ‘couch arms’ so they can rest their little heads and give you that puppy dog eye’s look. The arms are generously filled and the base is a solid 14cm deep. It is extremely comfortable. 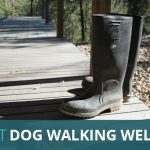 It is water resistant, so not technically fully waterproof so if you have a dog that’s prone to accidents it will be better to choose one of the fully waterproof memory foam beds further on in our guide. It has removable machine washable covers, which is a must! This bed comes in 3 sizes. 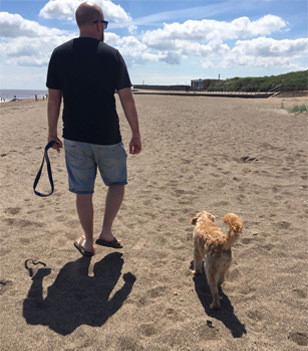 The reviews include customer images which should help you decide what size is best for your dog. This waterproof dog bed comes in an array of colours and sizes. A simple rectangle mattress for your dog to dream away on. The simple design will be beneficial for dogs with joint problems as it will be easy for them to climb onto and get a sound night’s sleep. As it’s fully waterproof we recommend this bed for dog’s who may still have accidents. And with machine washable removable covers you can keep this bed in tip top condition. The covers themselves are a fleece like material and not the usual rough waterproof material we expected it to be. This bed comes in 5 sizes and includes the weight of the mattress itself which is useful if you are considering travelling a lot with this bed. Some of the memory foam dog’s beds can be quite expensive. If you are unsure if your dog will like a memory foam bed and don’t want to invest too much money on one. This might be the cheapest and perfect option for you. Bodymould Mattresses sell off cuts of memory foam beds, which are ideal to turn into your dog’s bed. Or if you are crafty you could make your own cushion cover, there are lots of tutorials on youtube on how to make a waterproof cushion cover, and you could personalise it for your lucky dog! It comes in two sizes, suitable for medium and large dogs. But you can easily cut memory foam to make them smaller. This is the deepest memory foam bed we have found, at a whopping 25cm deep your dog will be snoozing for days without an ache or pain. It’s sofa like design provides support and helps to reduce stress on the joints and spine. Removable washable plush like covers will ensure your dog is snug as a bug at night. It is a brown and beige colour which should suit most interiors. This dog bed isn’t waterproof, however if your dog is fully potty trained this will be a luxury memory foam sofa bed providing your dog with the comfort it deserves. This rectangular orthopaedic dog bed with memory foam and extra high edges offers luxurious comfort and is just the place for a relaxing sleep with no stress on the joints. This waterproof is comfy and quick to clean. The outer cover is made of fleece to ensure your dog can dream away on a soft orthopaedic bed. The cover is Velcro fastening, so if you have a dog that likes to chew, we recommend you go for one which is totally sealed. You can buy spare covers for this bed which will come in handy if they get worn by lots of washing. This large bed is perfect for your dog is suffering from aches and pains. Its simple design is easy for the dog to climb onto and the 10cm deep memory foam mattress is beneficial for dogs that are suffering from arthritis, or hip dysplasia. It’s waterproof and fleece lined, making it easy to clean while still very comfortable! A perfect orthopaedic memory foam sofa style bed for your pooch. This one comes in three colours, brown/red/purple. If you want a bright coloured bed for your dog, this one is it. It has thick ribbed corduroy washable removable outer cover. It also has a non-slip base. This dog bed is very deep and mould to your dog’s shape to achieve an ultimate level of support. 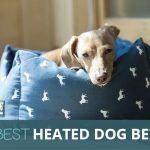 Why choose a memory foam dog bed? They’re especially suitable for older dogs who will get aches and pains just like us. They’re orthopaedic dog beds to ensure the best night’s sleep your pooch can get. Memory foam dog beds can help with muscle and joint pain, and wouldn’t we all do anything to help ease our dog’s aches and pains? If your dog has arthritis or hip dysplasia, a memory foam dog bed is a must! 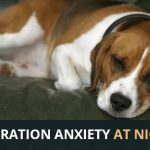 Younger dogs can get a lot of use out of memory foam dog beds too as the very nature of memory foam is to provide correct support and comfort that will ensure they move about less and are less disturbed in the night. And isn’t that what we all want? A full night’s sleep even if you do have a puppy. Unlike us humans, our dogs can’t go to a bed store and lie down on all the beds to find the right one (although it would be adorable if they could). So, we have written up the below guide to help you choose the perfect comfy bed for your dog. Imagine if your mattress was only 3cm’s thick, it wouldn’t be that comfy. Well, the same goes for your dog’s bed, the thicker the mattress generally means the more orthopaedic the dog bed will be. And the comfier your dog will be. Pet owners seem to agree that 5cm deep and above will provide the best comfortable mattress for your dog. One thing to consider, if you travel a lot with your dog, is that the thicker the memory foam dog bed is, the heavier it will be. Some of the deeper and larger memory foam dog’s beds can weigh up to 10kg! That’s the weight of my dog! 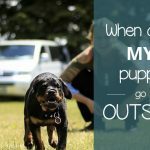 If you are planning on camping, or some other crazy travelling with your dog, consider going for a smaller, lighter option. Think of how often you wash your bed sheets, now think about how much your dog smells more than you (we’re assuming you’re not smelly). You will need to keep your dog’s bed cover regular washed too. We recommend choosing a dog bed with a removable machine washable cover, but if you fall in love with one without one, use lots of soft snuggly blankets so you can wash them. It probably should be waterproof, especially when it comes to puppies and older dogs as they can (through no fault of their own) have accidents. If your dog is a spoilt little diva, like mine, and sulks if she needs to sit on waterproof material, you can make the bed more snug by adding a few blankets over it.